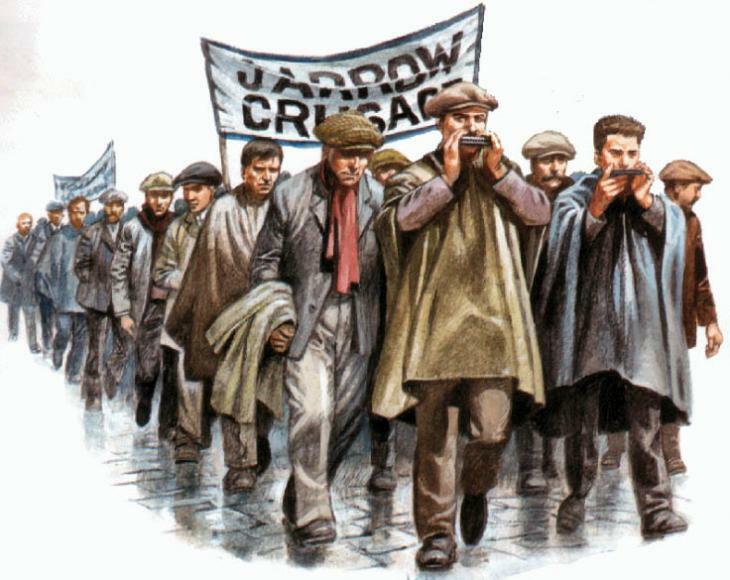 Back in the 1980s Aero made a replica of the classic early 20th Century man's working boot, the type worn across the Globe before WW2, made famous by such diverse and legendary characters as Charlie Chaplin and The Jarrow Marchers. 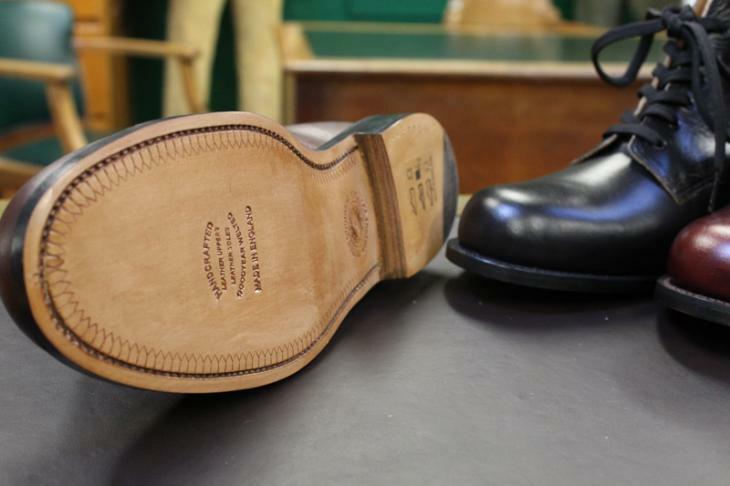 Production of the Aero version came to a slightly abrupt halt when our cobbler retired and it's taken us a while to find a British Shoemaker capable of recreating this legendary boot to our satisfaction. 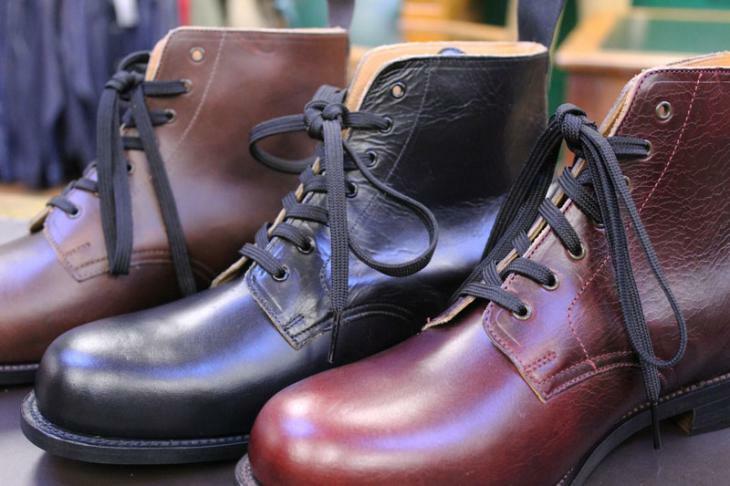 All good things are worth waiting for and we are now delighted to introduce our new version, a proper Goodyear welted, leather lined boot, made from high grade Horween Chrome Tanned Steerhide and crafted in Northampton in the traditional manner, maybe not with the cobbler working with a mouth full of tacks and a last between his knees as would have been the case before "Elfin Safety" but made as close as possible to the original 20th Century version. 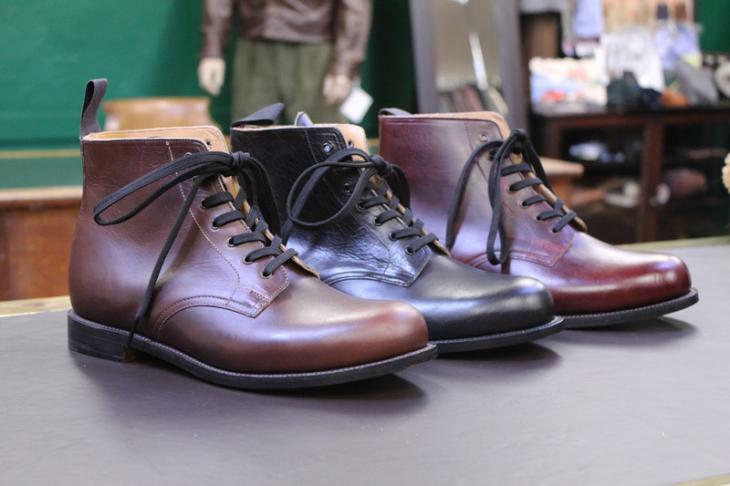 We have a choice of three colours available from stock, Classic Black, the first choice back in the day, Brown and Horween's legendary Color#8 Cordovan.